There’s just over two weeks until Marketing Derby's Andrew Lowe will be lining up for the first time with over 40,000 runners at the world's largest annual fundraising event, the London Marathon. Just this week, Andrew smashed his £2,000 fund-raising target for Bondholder The Derbyshire Children's Holiday Centre (DCHC), but doesn't want to stop there, he said: "I've been overwhelmed by the support that I've received from friends, family, colleagues and the Bondholder community. I would like to sincerely thank everyone for donating so far - it is truly inspirational - any further support to get the final total even higher will make a massive difference to a fantastic local charity." Please visit Andrew's Just Giving page (https://www.justgiving.com/fundraising/Derby2London) and lets get that total as high as possible. 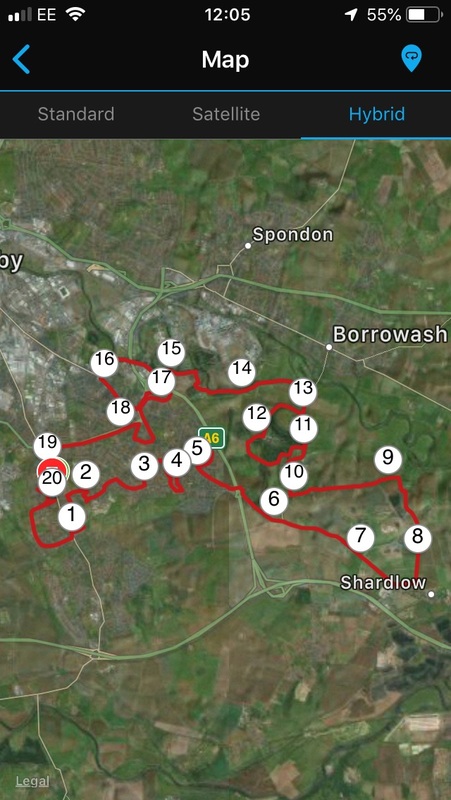 His 18-week training plan started way back on Boxing Day, and will cover a total distance of 461 miles! The programme peaked last weekend with a gruelling 20-mile run which he completed in just under 3 hours. He has also visited one of DCHC's partner schools, Firs Primary School, and led them on a mile around their playground to raise awareness of the charity and encourage them to be more active. Andrew added: "Training for a marathon is a huge physical challenge and commitment with four runs each week. I've run through wind, rain and hail but I feel ready and am looking forward to the atmosphere and enjoying the experience as much as I can." Thanks to Bondholders East Midlands Trains in providing train tickets, HUUB who have donated training gear and Simply Uniform for the race shirt.